Henan Huatai is committed to develop into a modern international oil machinery goal.Our company was named the outstanding member of the Chinese Cereals and Oils Association, the provincial contract and trustworthy enterprises, the provincial enterprise technology center.Huatai machinery has the rights of import and export, passed ISO9001: 2008 quality system certification.Now,the company is adhering to the scientific management of modern enterprises, precision manufacturing, innovation, and the rapid rise of a domestic grain and oil machinery manufacturing leader deserved. 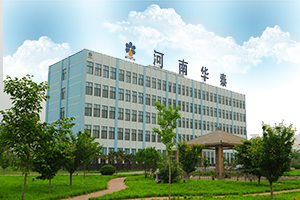 Huatai machinery has developed projects including large scale oilseed pretreatment and pressing, oil extraction, oil refining and oil fractionation production line project,conveyor equipment project,corn/maize flour, grits, germ milling machines and corn processing lines,biodiesel technology,cottonseed, rice bran and soybean protein technology, and Palm Oil processing lines,etc. Henan Huatai Cereals And Oils Machinery Co.,Ltd is committed to R&D of new efficient oil machines, manufacturing customer oriented oil machines, and leading the development direction of the world’s most advanced grain processing machines and oil processing machines. We are reply on technology and innovation, constantly developing new type oil machines and equipment in order to achieve worlds advanced level. Henan Huatai oil processing equipment sold in more than 30 provinces and cities in China and exported to the United States, Sweden, Japan, Korea, Bolivia, Sudan, Kazakhstan, Tajikistan, Russia, Malaysia, Indonesia, Bangladesh, Myanmar, Vietnam, Thailand, Rwanda, Nigeria, more than 130 countries and regions.Henan Huatai Cereals And Oils Machinery Co.,Ltd constants on the goal of Chinese leading food and oil machinery engineer, leading on advancement of oil industry. 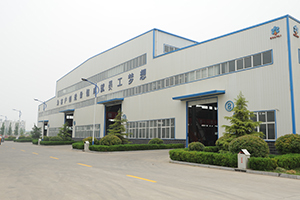 We are ready to meet all challenge and opportunities with full confidence and energy.Huatai machineryhas developed into a large-scale oil machinery manufacturing base in China.